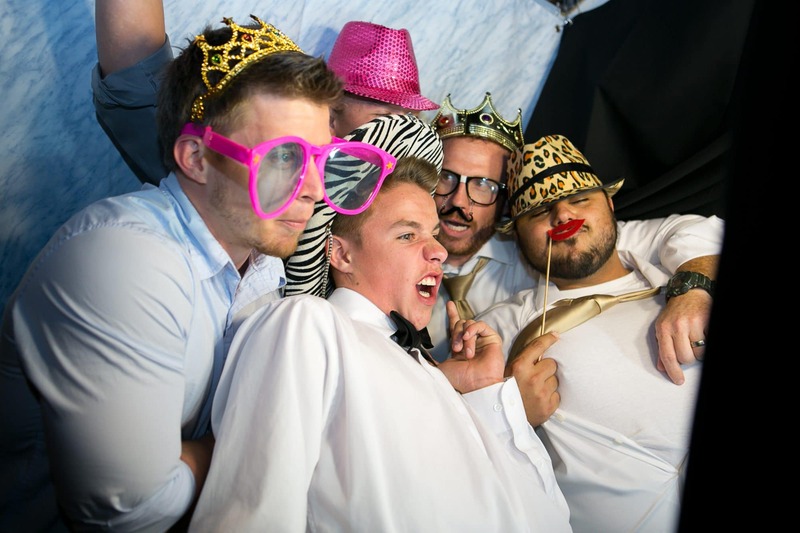 It’s important to hire the right professional wedding photo booth for your wedding day. 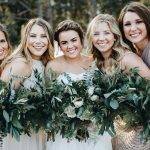 Each different wedding photo booth company offers different features, such as printed photos or online-only photos, video clips, props, scrapbooks, and more. 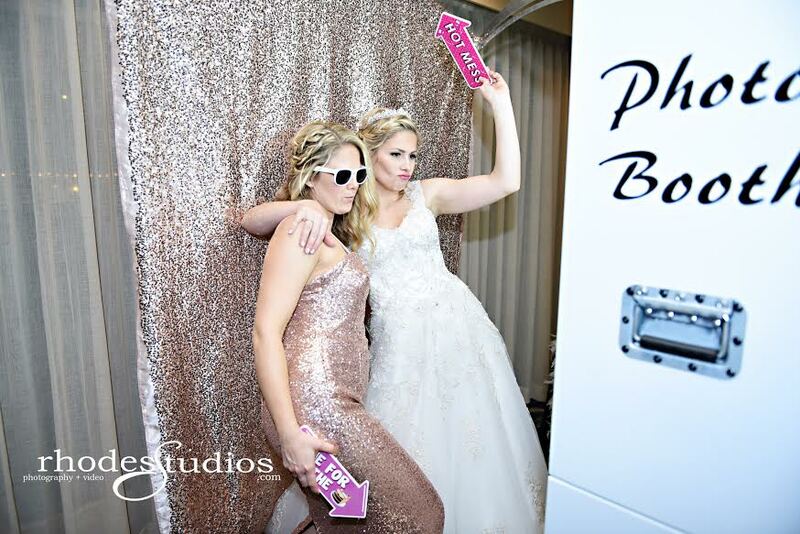 Adding a photo booth to your wedding enhances the fun at the reception and provides you with memories for years to come. 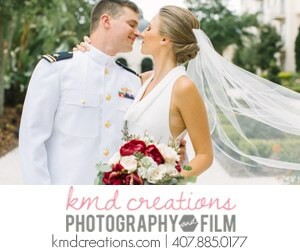 It gives us great pleasure to introduce this week’s vendor spotlight, Kristin Wilson of Photobooth Rocks. We create and capture moments for a living! What did you do before you did this? And how did you get into the wedding industry? I worked in marketing at an Orlando resort. My husband was a GM for a restaurant franchise. We started in 2011 and haven’t looked back since. 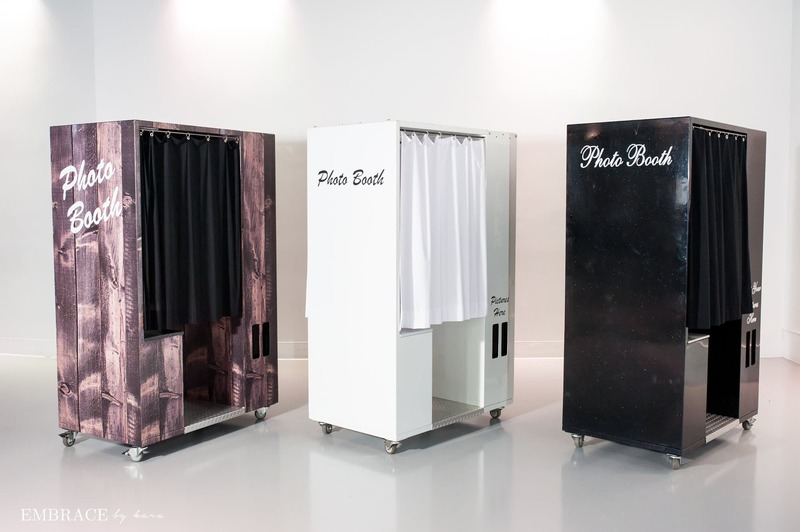 We started with just one photo booth and now we have 11 photo booths and a mirror booth! 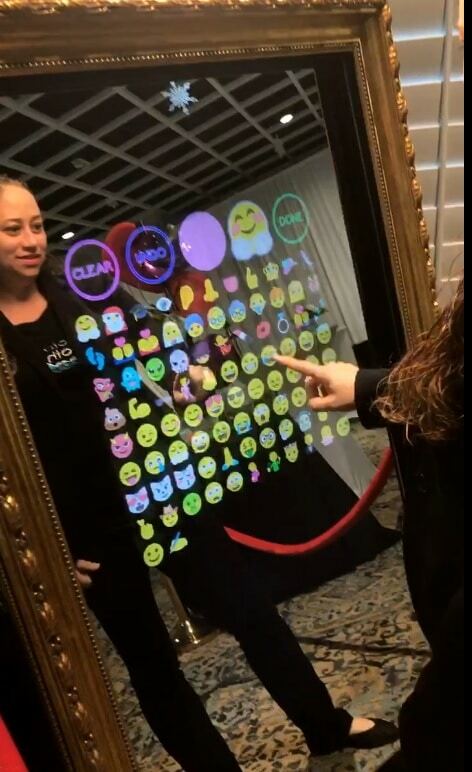 OMG – for SURE knowing that with our photo booths, our couples will be able to have memories of their guests 10, 20, 50 years from now to remember. And even more importantly, some of those people may not be around in the future and they will be able to have this as memories. I feel like photo strips are like dollar bills, they are impossible to throw away. So I know that these photo booth memories that are printed out will never fade away in a memory, get deleted off of a phone, or lost in a wall on social media. I am very passionate and personally, I love creating memories in my own life with friends and family. One of my favorite traditions is having a photo booth at our family Thanksgiving every year and I cherish every single photo strip that we have. So knowing how important these are to me motivates me to inspire our team to create these memories for our couples. I am obsessed with dogs! Specifically, pitbulls (we personally have a furbaby named Sig) and I scroll Instagram at night watching funny dog videos. 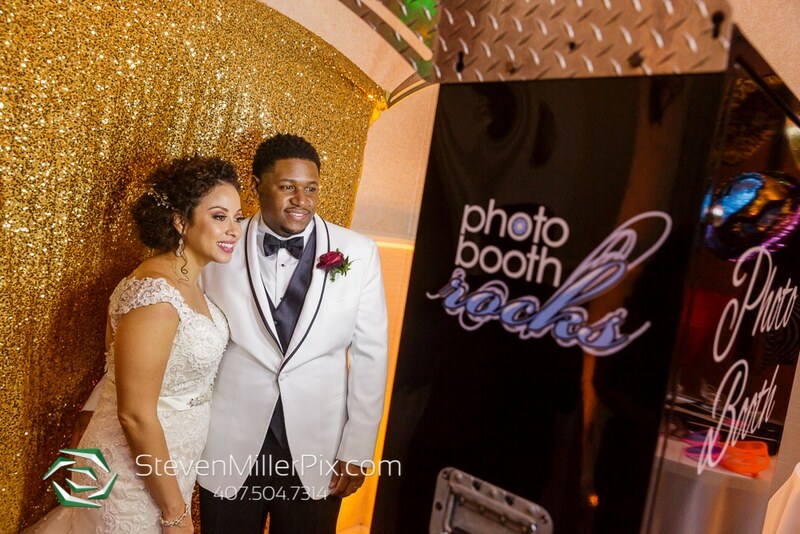 That they couldn’t believe how affordable our photo booths really were for what we included in our package and they are SO glad they had one! It was inspired by our sister company, Our DJ Rocks. People would always tell us “YOU ROCK!” So it was our vendors and clients who came up with our names! Our new mirror photo booth and custom scrapbook albums. 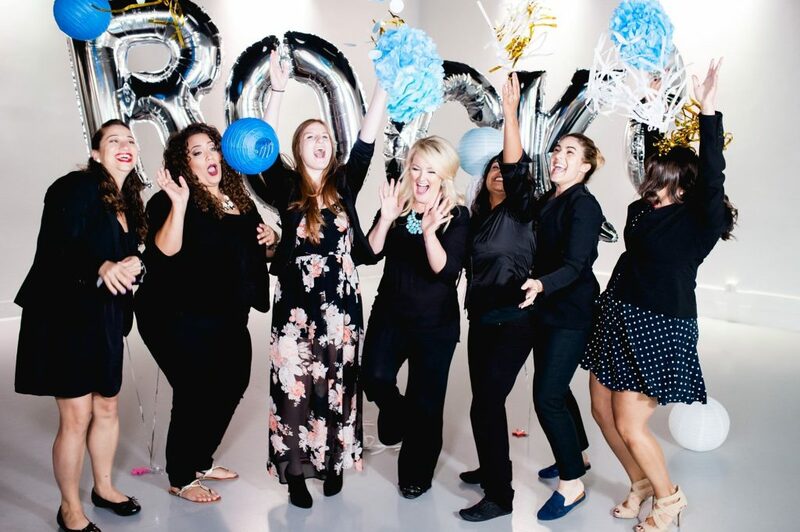 Our resume includes weddings (of course) but also birthday parties of all ages, corporate events, product launches, award galas, charity events, trade shows and conventions, etc. I think our business is successful because of our team. Our operations team knows stuff and knowing stuff matters. We have rocked over 1,135 events across Orlando and Central Florida. For example, we know every back road and shortcut in this town, so we’ll never be late to set up your photo booth rental. We know right where to go when we pull up to an Orlando wedding venue. We know every gate guard by name. 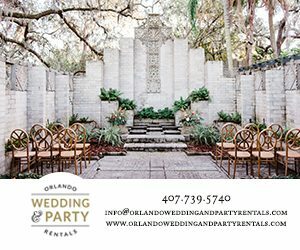 We know the catering managers, event planners, photographers, and all the wonderful people in the Orlando wedding industry who work together to make your event a success. And guess what? 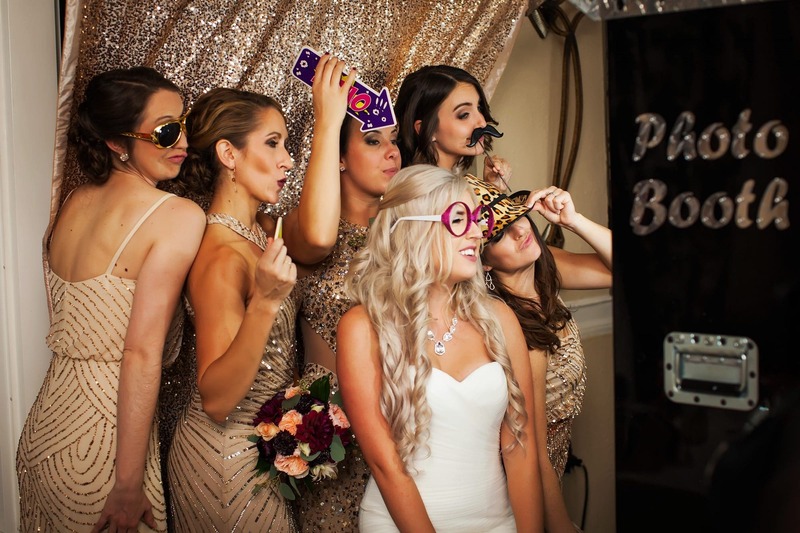 They know us, too – the fun, yet professional, Photobooth Rocks. 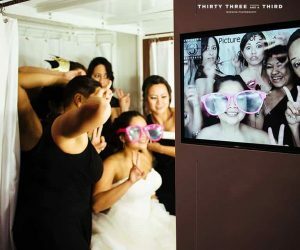 Our prices range from the $500s up to the $1200s, depending on the photo booth style and how many hours you rent it for. We have all types of packages depending on your needs. 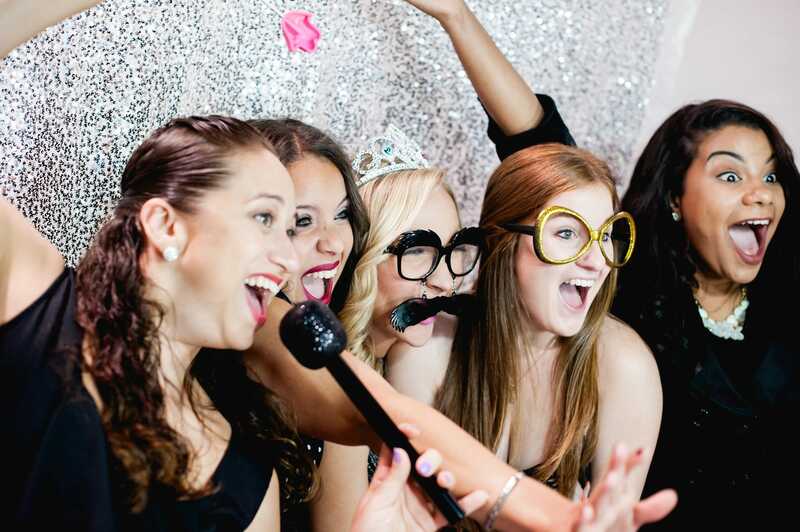 Some of our basic packages include printouts with your logo or info, video messaging, props, a photo booth attendant, setup and delivery, a flash drive of the images, and a scrapbook. And we also have packages and upgrades that include emailing options, Facebook uploads, text messaging, and custom branding with a photo booth wrap! Contact us to set up your package with what you’d like to be included. 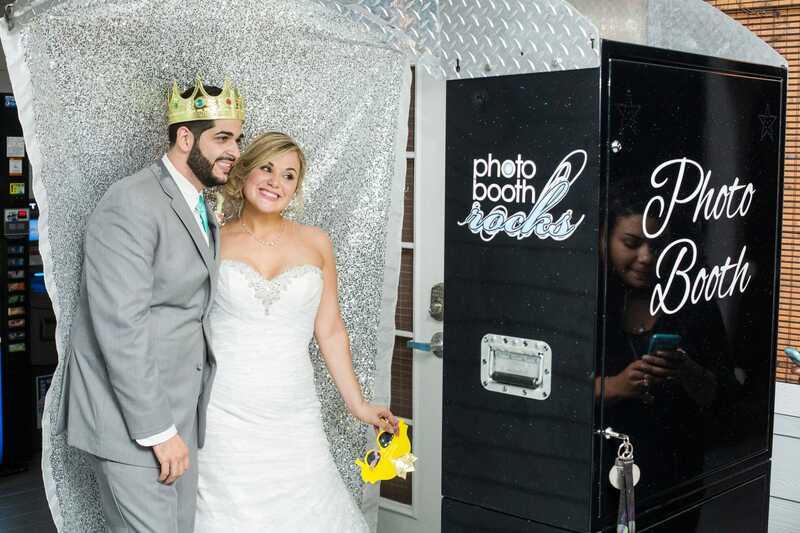 Photobooth Rocks shares some helpful information for engaged couples…..
How much is any additional hour? Depending on the event and your package, between $100-200 on average per hour. Will the DJ or band music affect the video messaging? Yes, it most certainly can. 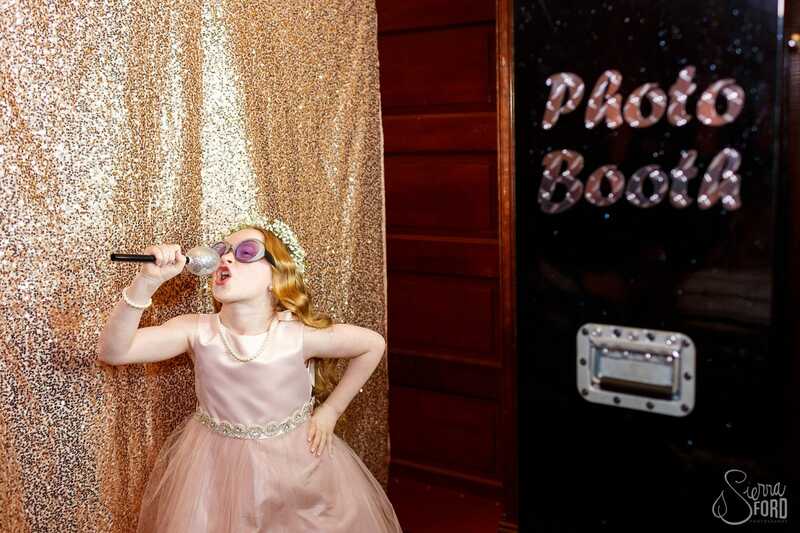 So make sure that you place the photo booth far enough away from the music or not in the direct line of sight. Will you deliver to a private residence? Absolutely! Just make sure there are no stairs and we’ll need solid, stable ground and cover. What kind of props are provided? We have a variety of hats, lips, mustaches, and fun glasses. How many prints are dispensed? Two (2) 2×6 prints are printed with each session. On the strip, you can have either 4 photos or 3 photos plus a custom logo on the bottom. There are options to upgrade to a 4×6 print out. How big is your booth? What are the different booth styles that you offer? How many people can you fit in a booth? We have multiple options and styles. They are located on our website, where you can see what they look like and all the details about them. How much do the booths weigh? A lot! Classic Style – 485 lbs. Printz Style – 280 lbs. White Elite – 800 lbs. What backdrops do you have? Grey, white, gold glitter, rose gold glitter, silver glitter, or vine wall. How big is the camera and to what distance will it take a photo? The camera is optimized to take photos that print on a 2×6 printout. It is best if guests stay 5-6 feet from the camera for optimal photos. How much space do you need? 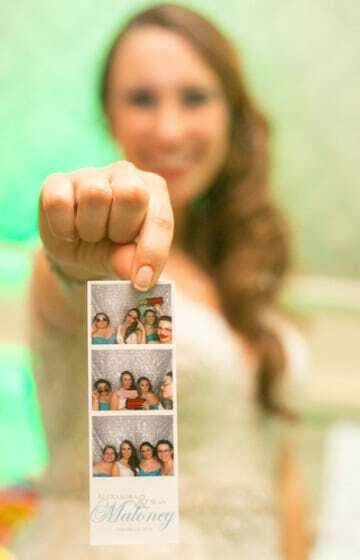 Depends on which photo booth, but generally, for weddings and special events, an 8×8 or 10×10 space will work perfectly. BUT if you get an open air photo booth and you want it set up in your 8×8 trade show booth, the footprint of the booth is only 2×4, so we would only need 2×4 space. Who will be delivering and setting up our booth? Our delivery team. How early do you arrive to set up the booth? Our delivery team arrives a minimum of 2 hours early for set up and our attendants arrive an hour prior to the rental time. Do you have to pay to get in the booth? Yes…. JUST KIDDING! No! Not at all! You pay for the rental period. At the event, your guests could take as many pictures as you would like. I actually encourage you to keep coming back! How fast is the setup? Mark and JJ are trained ninjas in the art of “photojitsu” (the art of photo booth setup). They take about 8-12 mins if they are in competition (depending on the booth style). But in the end, we always work behind the scenes so as not to interrupt any of your services. Within a few minutes, we’ll have the booth set up and ready to go as if we were never there! Bella Collina – because it feels like you are in Italy! 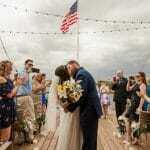 Mission Inn Resort – because no matter what you’re looking for, there are multiple areas AND it’s a resort so you can turn your wedding day into a wedding weekend or week of festivities. You totally rock! 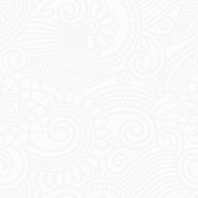 Do you also offer GIF photo booth service? Not yet, but if you know of a company, refer them over to advertise!